“Just thank you. Thank you,” Hannah says when asked if there's anything she wants to say to the public. San Diego kidnap survivor Hannah Anderson spoke out on-camera Saturday for the first time since the 16-year-old was rescued, thanking supporters as she left a car wash fundraiser with her father in Lakeside. Wearing a black knee brace on her left leg, Hannah had greeted her friends at the fundraiser and gave out hugs. NBC 7 spoke exclusively with her father, Brett Anderson, at the event and he said his daughter felt compelled to attend the fundraiser and give her personal thanks to organizers and supporters. 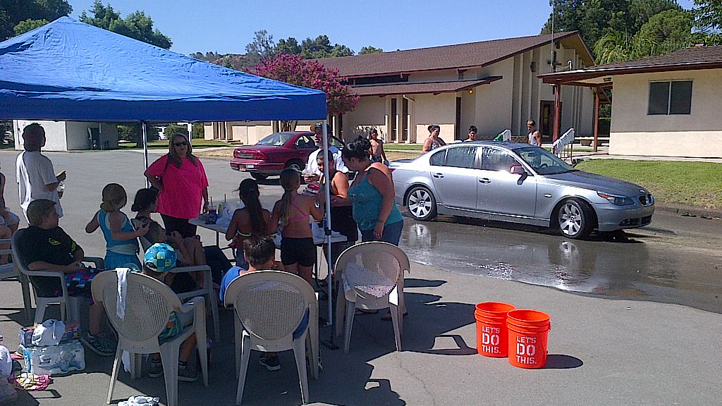 A car wash fundraiser was held at a church in Lakeside to benefit Hannah Anderson, 16, and her family. Hannah and her father, Brett Anderson, made a surprise drop-by at the event, thanking organizers for their love and support. 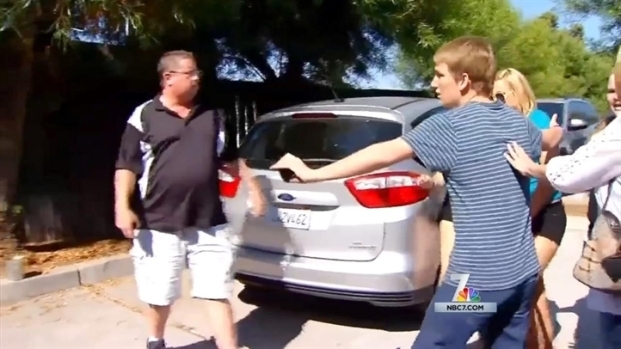 NBC 7 captured the teen's first brief on-camera comments since her abduction. “It’s wonderful that [the community] is out here helping her. She just wanted to come out and thank these people personally,” Brett said. He said his daughter is still going through a lot, but the overwhelming support from the community – particularly her hometown of Lakeside – helps. “[Right now things] are very difficult. Every moment is difficult for her,” Brett added. After a few moments, Brett told Hannah they had to go. Paulson. She gave Paulson a big hug and said thank you, before walking back to her father’s car and speaking to NBC 7. The car wash fundraiser was held from 10 a.m. to 2 p.m. at Lakeside's Living Hope Christian Fellowship church on Los Coches Road in the San Diego County community to benefit Hannah and her family. The money raised at the car wash – about $1,000 -- will be donated to the Anderson family and will help cover funeral expenses for slain Lakeside residents Christina Anderson, 44, and her son, Ethan Anderson, 8. The funds will also help cover ongoing therapy expenses for Hannah. Kidnap victim, 16-year-old Hannah Anderson, makes her first public appearance since being rescued in the Idaho wilderness. NBC 7's Dave Summers reports. Saturday’s event was organized by Traci Paulson and Bonnie Barker, neighbors of Christina, Ethan and Hannah Anderson. Paulson said it marked the first time she had seen Hannah in person since her return to San Diego. “It’s amazing to see her. It made my day,” said Paulson. The teen’s appearance, albeit brief, was the highlight of the day for organizers and participants – kids who grew up playing with Hannah and her late little brother, Ethan, in their Lakeside neighborhood. Angelina Pellegrino, 12, has fond memories of playing with the Andersons – and one chilling memory of hanging out with Hannah the day before she disappeared with accused abductor James Lee DiMaggio. With the help of dozens of volunteers, fundraiser organizers raised nearly $1,000 for the Anderson family – a family still in shock. “I wanted to do something to help the family and this is my way of helping,” said one participant. Alex Ramirez, a senior at El Capitan High School and fellow schoolmate of Hannah, said the brief encounter with Hannah was a welcome surprise. “It was crazy. I didn’t expect her to come,” said Ramirez, adding that it was good to see Hannah. Even better for Ramirez: the chance to do something for the Anderson family, one car and one donation at a time. This was the second fundraiser this week for Hannah and her family. On Thursday, a large fundraiser was held at a Boll Weevil restaurant in Lakeside. In her first public appearance since her kidnapping and rescue, Hannah attended the event along with her family. Hannah's father, Brett Anderson, issued a brief statement outside Thursday’s event, thanking the public for their support and giving a short update on his daughter. “Hannah sends her love. She’s doing good day by day. We’ll just keep moving forward from here," Brett said. "We're just looking for her future and to get her settled." In addition to these fundraisers, an Anderson Family Memorial Fund has been established at Wells Fargo. The account number for that fund is 3224408462, and anyone can donate. NBC 7 has confirmed that funeral services for Christina and Ethan Anderson are set to take place at 11 a.m. Aug. 24 at the Guardian Angel Roman Catholic Church in Santee. As of right now, the service will be open to the public, unless the Anderson family decides otherwise. Christina and Ethan Anderson's charred bodies were discovered by officials on Aug. 4 at the burned out property of kidnap and murder suspect James Lee DiMaggio in the community of Boulevard, near San Diego. According to search warrants, investigators believe DiMaggio – a longtime friend of the Anderson family – “tortured and killed” Christina and Ethan on Aug. 4 before allegedly kidnapping Christina’s daughter Hannah. 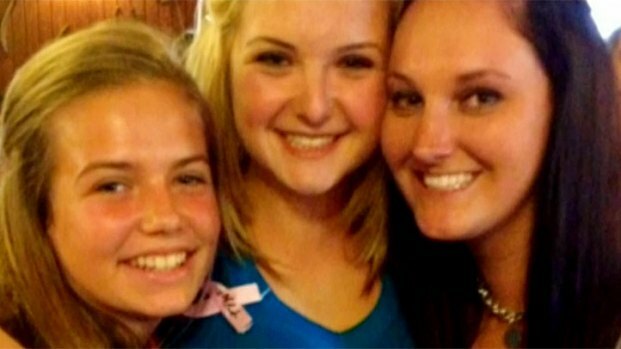 Hannah has since reunited with her family and returned home to San Diego. Days after her rescue, the teen was fielding questions about her kidnapping on social media. On Thursday, she made her first public appearance since her rescue at the fundraiser in Lakeside. The teenager’s family has asked for privacy as Hannah continues to recover.